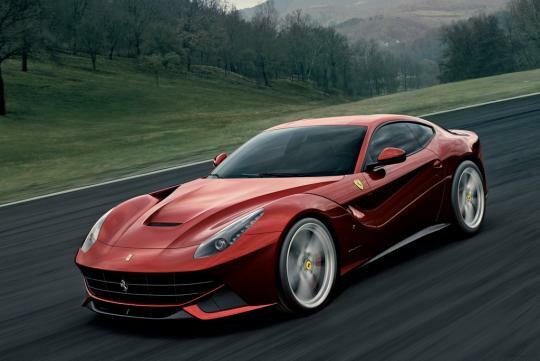 The new F12berlinetta is provocative. The sensual styling will likely appeal and tempt those who are into wheeled art. Not to mention by bearing the highly praised badge on its bonnet, it must be good. Then, things could have been very different. 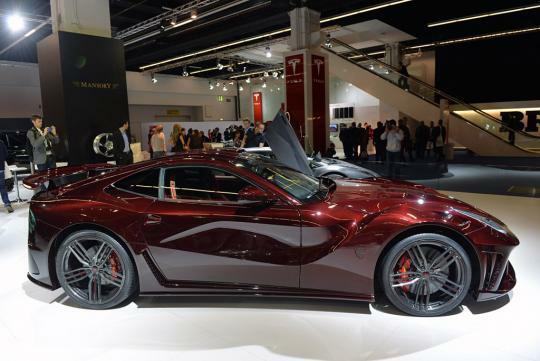 Mansory, a luxury car modification firm based in Brand, Germany, showcased its take on the F12 at the recent Frankfurt Motor Show. 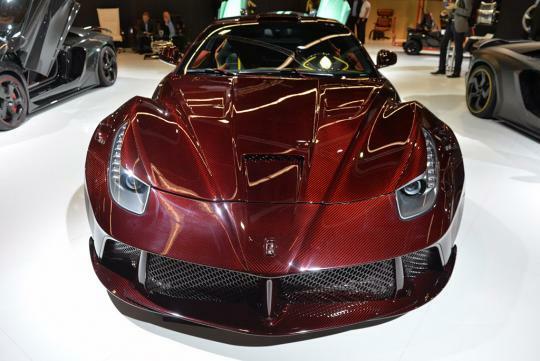 Called the 'La Revoluzione', the GT has now been cloaked in maroon carbon fibre, which looks highly exotic, but less pleasing to our eyes. We reckon the firm could have been more creative with the moniker too (likely to have been inspired by Ferrari's halo car - LaFerrari). It seems to be a case of 'too many cooks spoil the soup'. 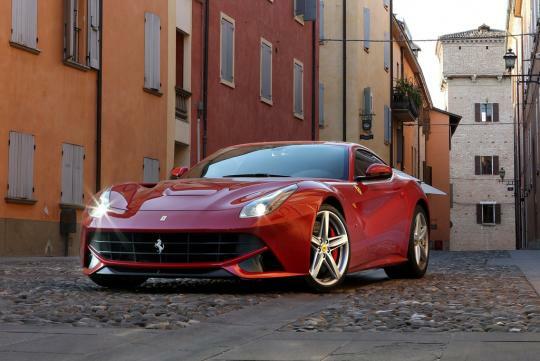 In our humble opinion, the people at Maranello did a good job with the F12. 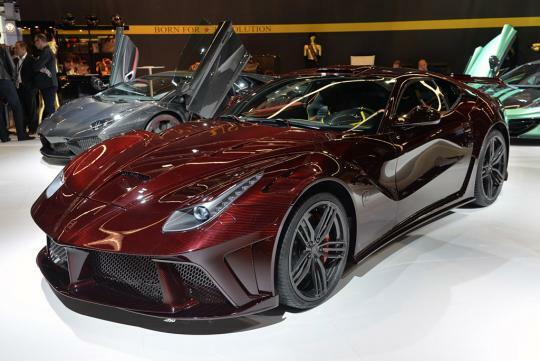 But Mansory - not so. Other than the unique carbon fibre body, we thought the fixed wing broke the svelte, graceful silhouette of the stock car. 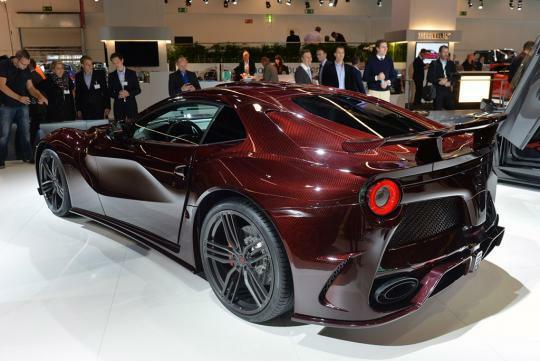 From the front, it seems that Mansory has eradicated the clever active cooling duct for the brakes. Gone too are the aero bridges behind the front wheel arches. 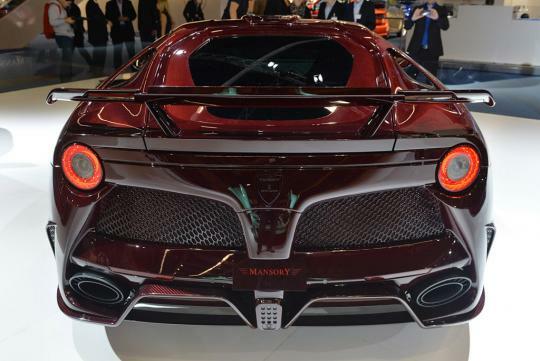 The fixed wing looks fine from this angle, though, and if there's one thing Mansory did right to the aesthetics, we reckon it would be the exhaust tips. The German tuner has upped figures from the 6.3-litre V12 to above 1,200bhp, which enables the La Revoluzione to complete the century sprint in 2.9 seconds - down from 3.1 in the stock car. Before we end this post, we thought we should remind you of how gorgeous the original car was.